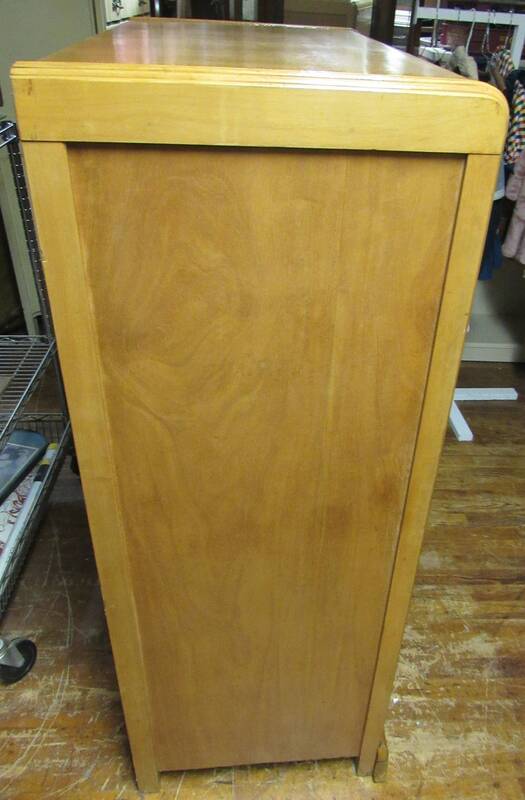 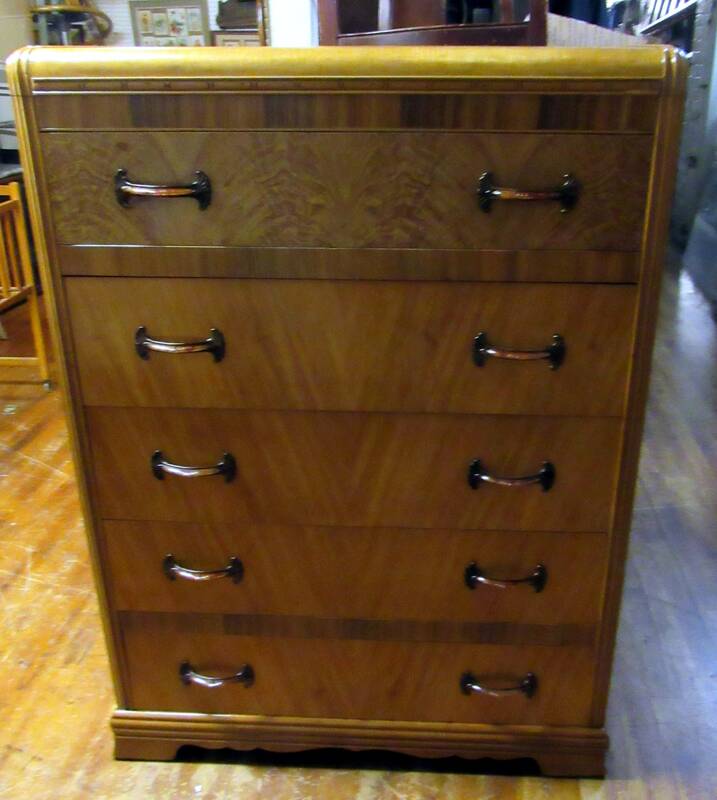 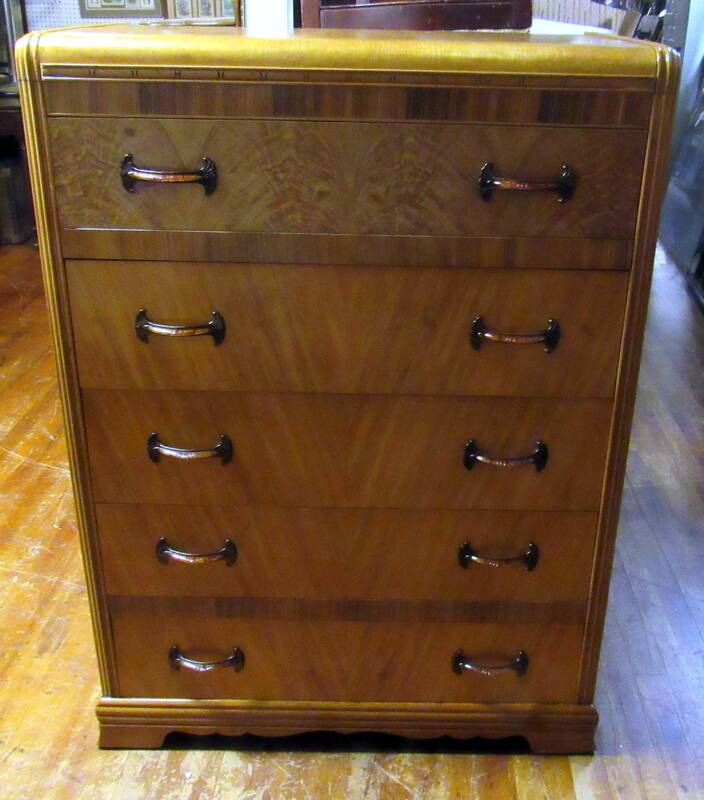 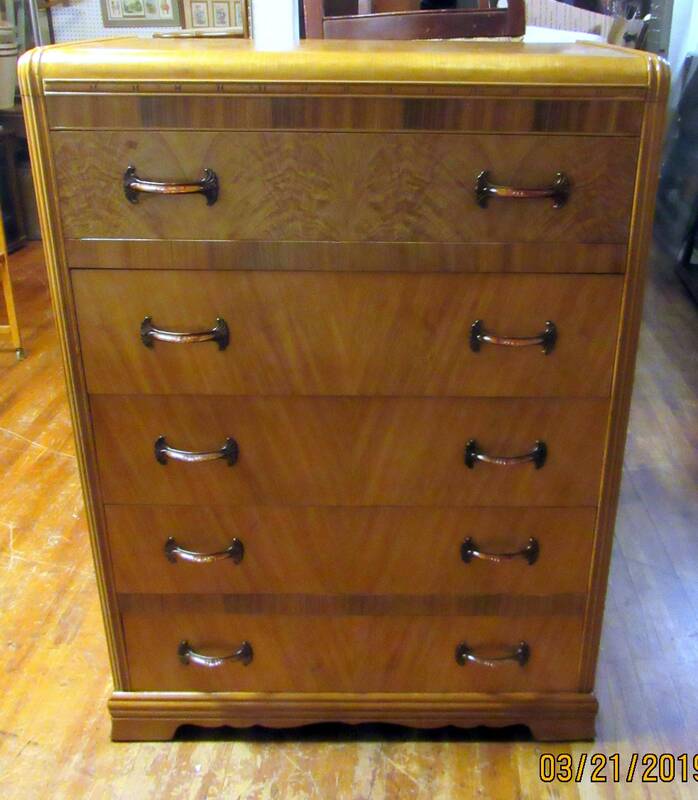 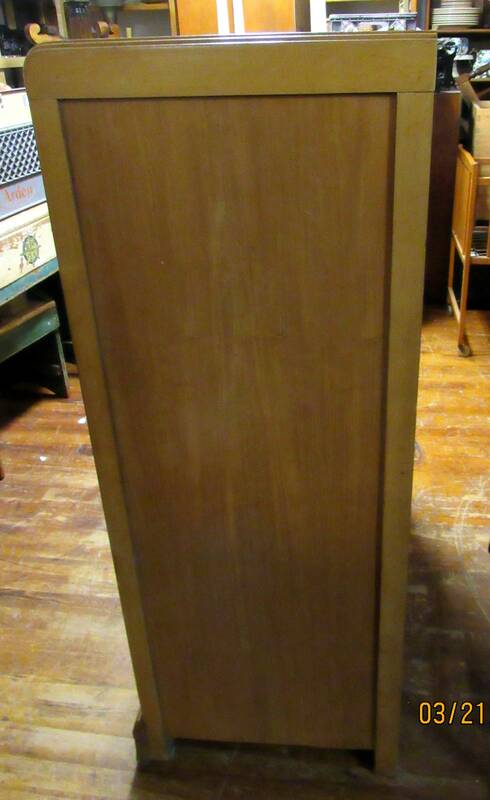 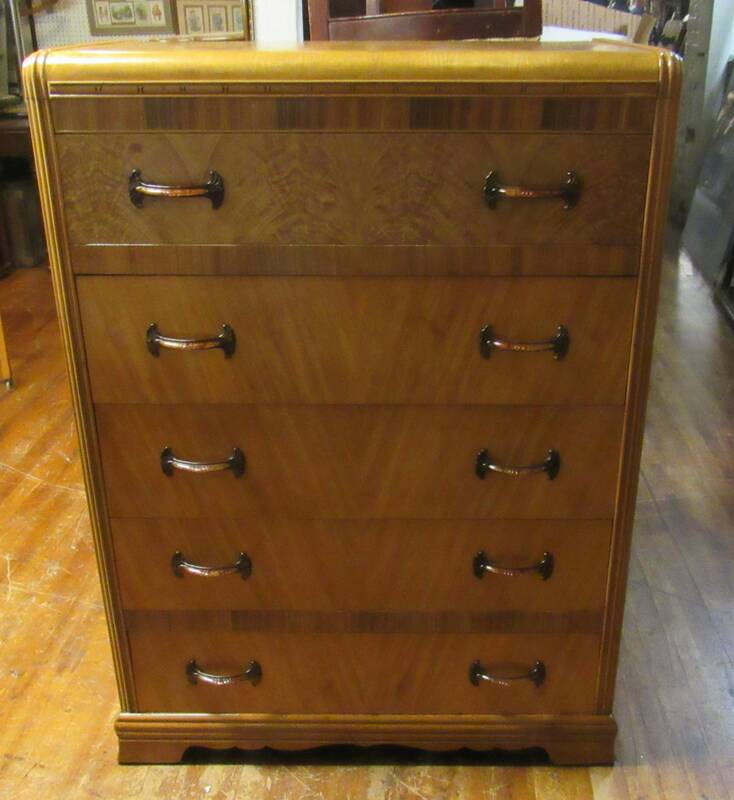 Gorgeous Art Deco waterfall highboy dresser, manufactured by Built By John, circa 1930's. 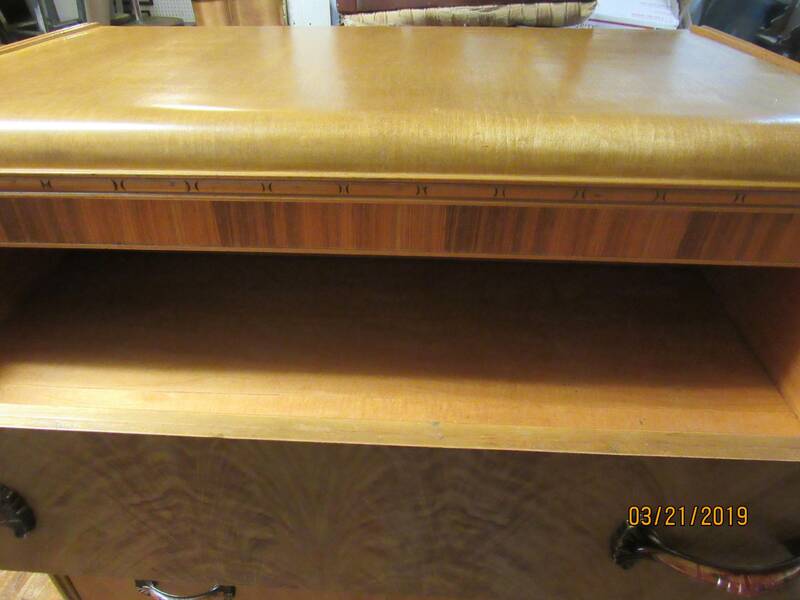 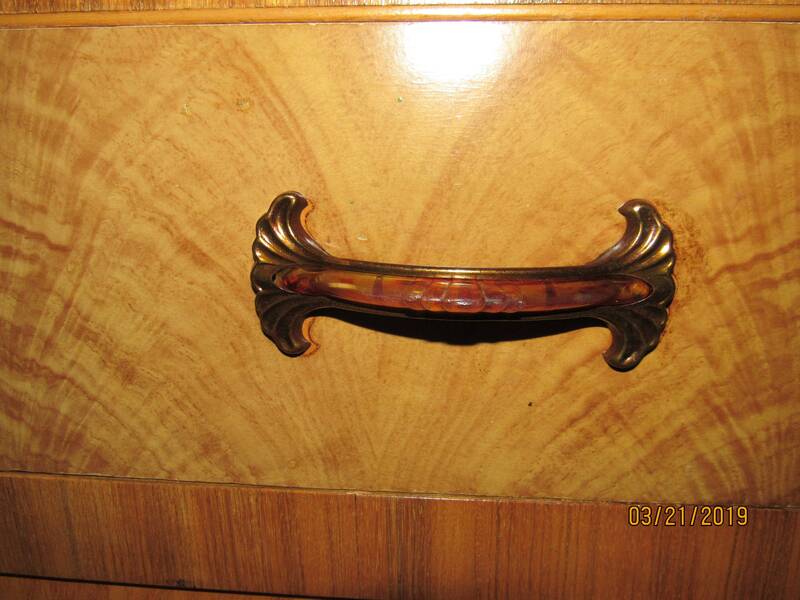 Five big drawers, dovetailed, clean and slide smoothly with original metal and celluloid handles, 35 x 19 x 48". 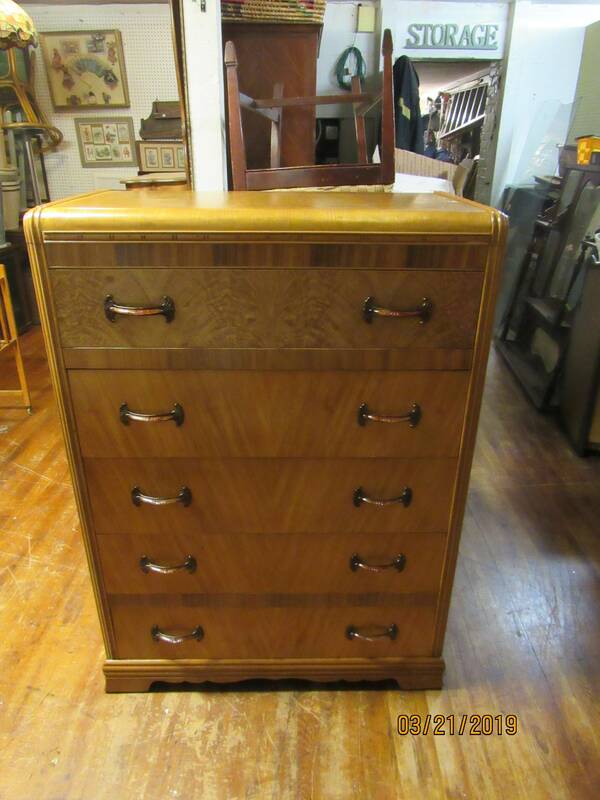 Excellent refinished condition.